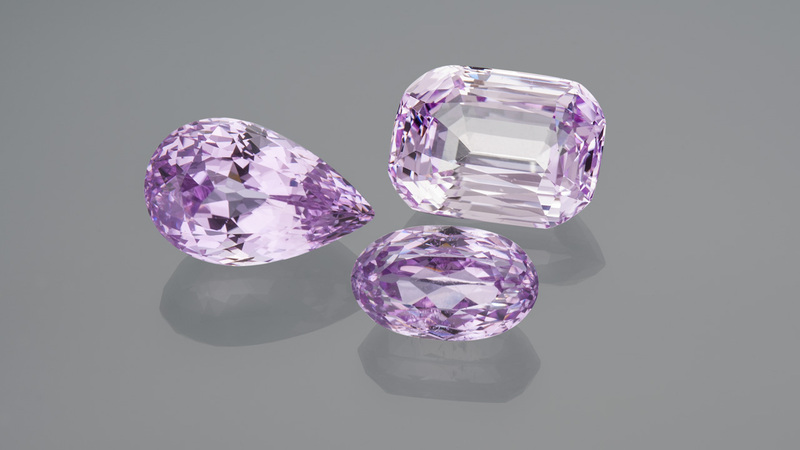 Collectors love kunzite for its colour range, from delicate pastel pink to intense violetish purple. 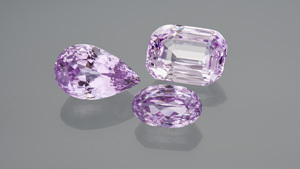 Kunzite’s attractive colour comes from trace amounts of manganese. 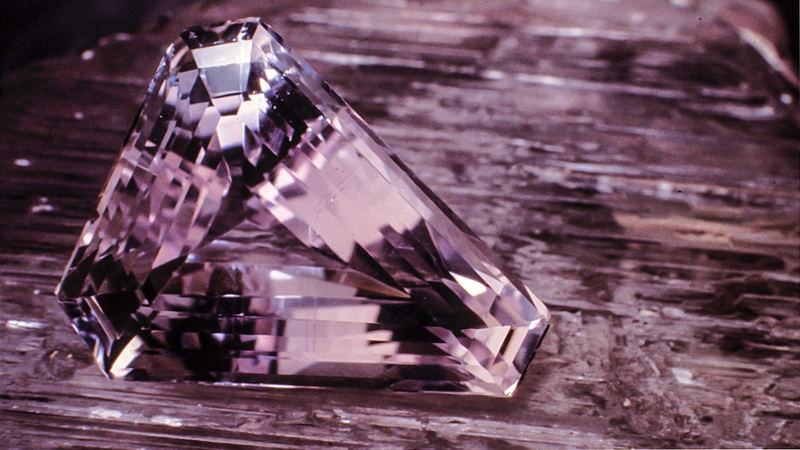 Kunzite displays different colours when viewed from different angles. 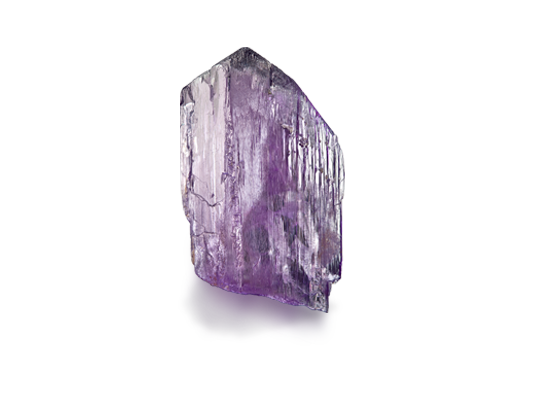 Kunzite is the best-known variety of the mineral spodumene. It’s named after famed gemmologist George Frederick Kunz, who was the first to identify it as a unique variety of spodumene. Kunzite gets its delicate colour from trace amounts of manganese. 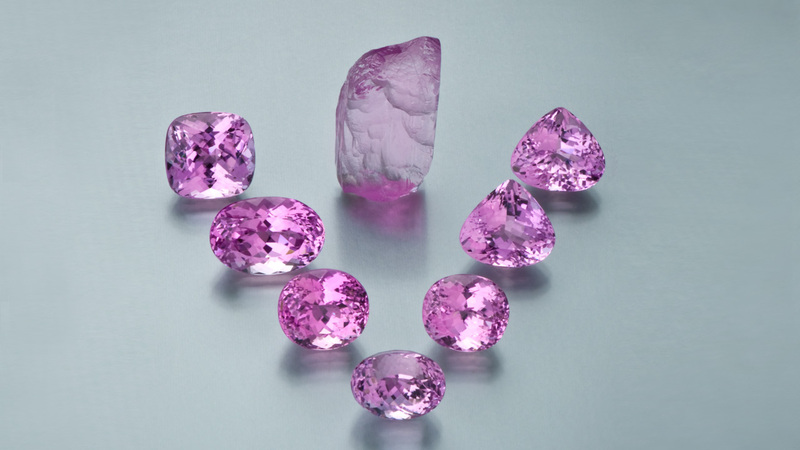 California’s San Diego County is an important source of kunzite. 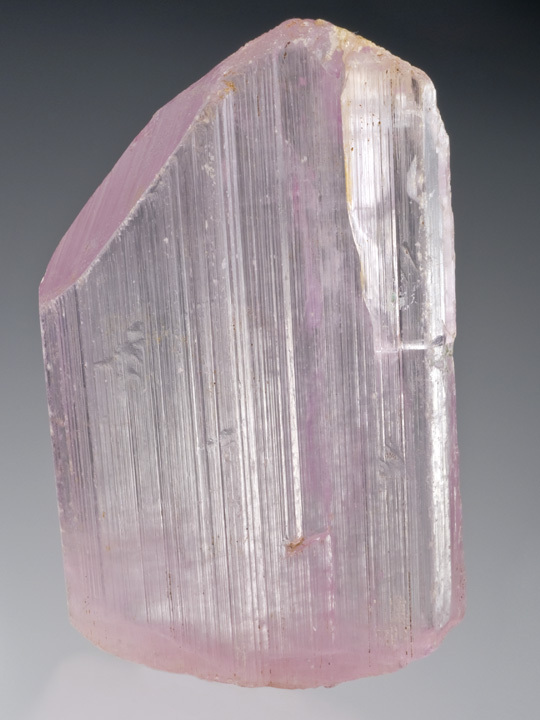 Kunzite was first recognised as a unique variety of spodumene around 1902. 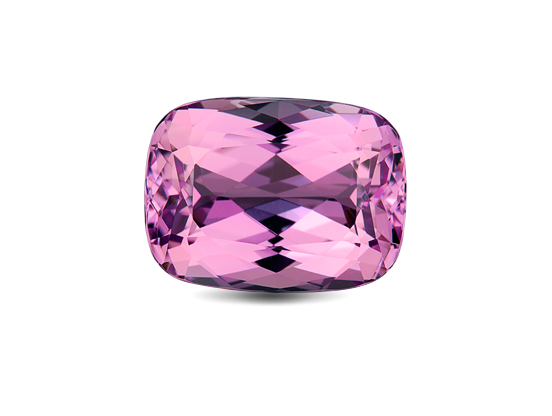 Colour is kunzite’s most important value factor. The more vivid the colour, the higher the value.